Video above: Protesters marching down the streets of Michigan Avenue demanding justice on Black Friday, Nov. 27, for Laquan McDonald, 17, shot 16 times by former Chicago cop Jason Van Dyke in October, 2014. Above: released video, published on Youtube by Chicago News. CPD hid 5 police dashcam videos from public eye, erased 86 minutes of BK video–should entire command be charged with conspiracy and obstruction of justice? 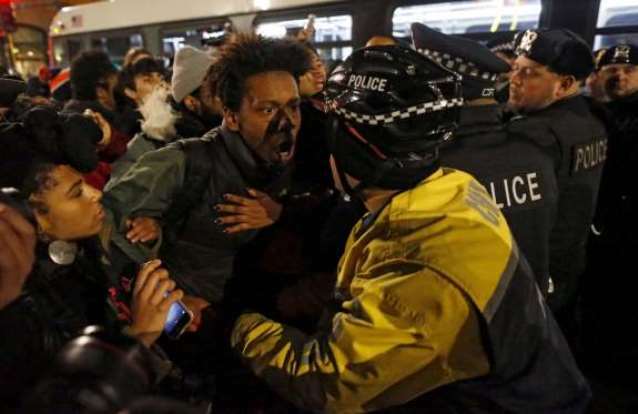 Nov. 27, 2015 — (Reuters) On one of the busiest U.S. retail days, thousands of people took to Chicago’s most prestigious downtown shopping district on Friday to protest last year’s shooting death of a black teenager by a white policeman and the city’s handling of the case. About 2,000 people with signs reading “Stop Police Terror” gathered in a cold drizzle for the march on Chicago’s “Magnificent Mile” on the Black Friday shopping day . . . .
Organizers said the rally would be a show of outrage over the fatal shooting of Laquan McDonald, 17, and what they see as racial bias in U.S. policing. 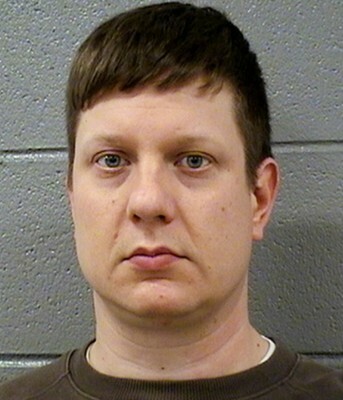 The police officer who shot McDonald 16 times, Jason Van Dyke, 37, was charged with first-degree murder hours before a graphic video of the shooting was made public on Tuesday. Chicago cop Jason Van Dyke, charged with first-degree murder. Complaints against police are not uncommon. But the number filed against Van Dyke was high compared with other officers. At least one person he arrested was later awarded $350,000 indamages in a lawsuit. Van Dyke’s lawyer, Daniel Herbert, did not return a message left Wednesday by The Associated Press. Malcolm X. London, among youth leaders of days of protest in Chicago. Michael Robbins, an attorney for McDonald’s family, said several citizens who witnessed McDonald’s shooting reported that officers ordered them to leave the scene under threat of arrest without ever interviewing them. Other witnesses reported that detectives later badgered them for insisting that McDonald hadn’t threatened officers before he was shot, Robbins said. •A video of Van Dyke’s squad car following McDonald through the lawn of a Burger King restaurant and pulling up alongside him as he walked down the center of Pulaski. •Another video of a squad car arriving at the shooting scene moments after McDonald crumpled to the ground. The video shows the teen appear to move slightly in the street with streams of blood trailing from his body. 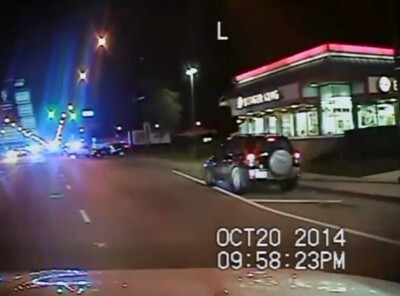 Burger King is seen at beginning of police dashcam video. A district manager at a Chicago Burger King claims police wiped more than an hour of surveillance footage from the chain’s servers after last year’s shooting that killed Laquan McDonald, according to a report. Several detectives barged into the Burger King demanding the password to access surveillance footage that would have captured the crucial minutes before and after Officer Jason Van Dyke opened fire on the 17-year-old, killing the black teen, the Chicago Tribune reported. The fatal shooting on Oct. 20 would not have been captured on the restaurant’s cameras pointed toward the parking lot, but the video may have shown what court documents described as McDonald brandishing a knife in the parking lot. Activists gather outside Burger King where police allege McDonald brandished 3-inch knife. By the time those officers and a member of the department’s technical support left the restaurant after lingering for about three hours, Jay Darshane contends 86 minutes of footage recorded from 9:13 to 10:39 p.m. vanished from their computer. Van Dyke shot McDonald 16 times at about 9:50 p.m. a short distance from the Burger King. Darshane brought up his concern over the missing footage while testifying before a grand jury earlier this year, but did not go public with his belief until this week. 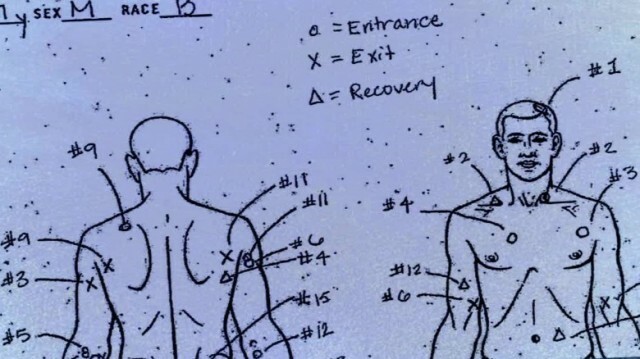 “I was just trying to help the police with their investigation … I didn’t know they were going to delete it,” Darshane told the Chicago Tribune..
Autopsy drawing shows 16 bullets that entered Laquan McDonald. Chicago cops killed 19 males last year. Autopsies, police statements, and media reports for several of those killings do not add up. 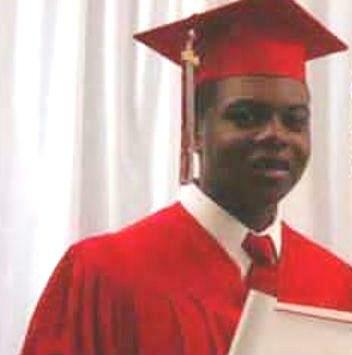 Laquan McDonald was one of 19 men killed by the Chicago Police Department last year. As national media turns its attention to the city following the release of video showing McDonald being killed in what prosecutors say was an act of first-degree murder by Officer Jason Van Dyke, the 18 other homicides will go uncovered. For the past year The Daily Beast has been investigating killings by Chicago police to determine whether the police and press versions of events line up with autopsy reports; whether the Independent Police Review Authority has completed its investigations into the deaths; whether witnesses have spoken to police and IPRA investigators. Simply put: We want to know if there are more Laquan McDonalds. 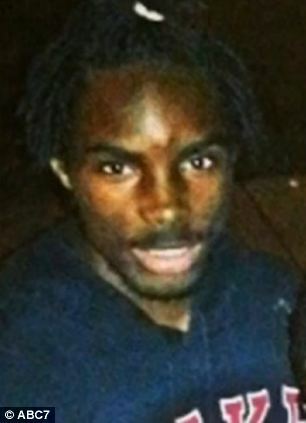 Warren Robinson, 16, shot 17 times by Chicago police July 4, 2015. A 14-year-old was killed by police the same week. CHICAGO — On July 5, 2014, not far from the intersection of 87th and Morgan on Chicago’s South Side, Warren Robinson hid under a car. Maybe he was uncooperative, as police have said. Maybe he was defiant, or aggressive, or pissed off or any number of emotions that can course through the mind of a 16-year-old boy. Or maybe he was just scared, because the police were about to pump 17 bullets into his 5-foot-9, 135-pound frame. Whatever the case, police say they recovered a .38-caliber semi-automatic pistol from Robinson. The cops there had guns too, and they used them to shoot Robinson as he climbed out from underneath the car, [allegedly] refusing to drop his piece. 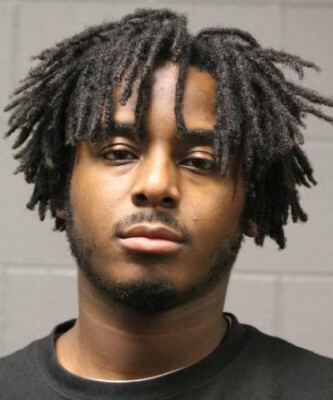 Robinson is the only person shot by Chicago police more times than McDonald was last year. In all, it took 109 Chicago police bullets to kill McDonald, Robinson, and the other 17 men, a Daily Beast review of autopsy reports found. 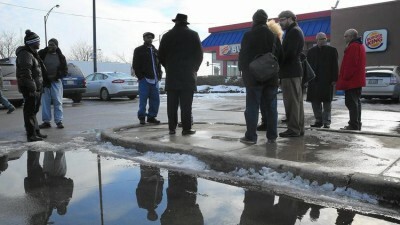 Photo from “We Charge Genocide” report on Chicago police submitted to the United Nations. (See link below). This entry was posted in Uncategorized and tagged Beatbackthebullies, blacklivesmatter, blacklivesmatterDetroit, JailKillerCops, LaquanMcDonald, PoliceBrutality, PoliceState, StandUpNow, StopPoliceMurders, StopWaronBlackAmerica, WeChargeGenocide. Bookmark the permalink.